Discussion in 'iPhone and iPad Games' started by touchy85, Oct 21, 2015. 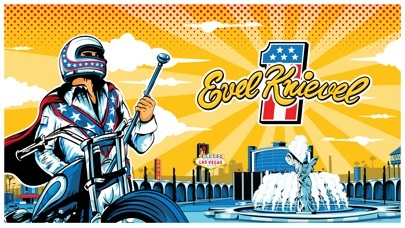 Now its your chance to step into the shoes of the legendary daredevil hero with the Official Evel Knievel game! Uh oh. Me likey the look of this. Downloading now. I'm with NOEN! Downloading right now. I'll report back with impressions in an hour. The video looks really fun! It's fully premium too. Boo ya! The graphics are great! The colors are nicely saturated and the graphics almost have a cell shaded look to them. I really dig the art style. The gameplay, you traverse pre-made levels based in different cities in a progression where the level lay outs get harder and harder to traverse. 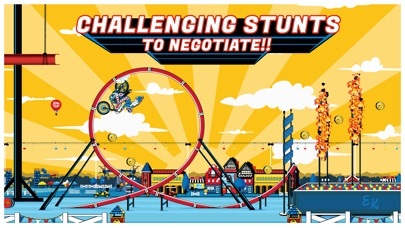 Each level has a bunch of stunts throughout and then a big finishing stunt. There is Everyplay integrated so you can save an share full videos of your play throughs. You also collect coins which are used firstly to unlock better bikes which you do need to advance in the levels and then for cosmetic outfits. The helmets are earned by doing stunts in each city. There is no pay to win here. You do not have any IAP or ads of any kind. So no 2x coins. You must play to earn the coins. There is a fully integrated mission system and tied into the mission system is a personal upgrade/leveling system with three things you can work on to increase your abilities while playing. As far as the gameplay goes I love it. The controls! The control scheme is simple yet very very effective and easy to get the hang of. They are also extremely responsive. No lag whatsoever with the on screen buttons. You always have two buttons on the screen. A left and right button. While on the ground the left button is the brake and the right button is the gas. While in the air the left button rotates the bikes front wheel up and the right button rotates the front wheel down. That's it. Sounds easy but it does take some practice! Definitely worth the money. Good work devs! I dunno, man. You're talking about Evel Knievel there! That's a lot to live up to!! 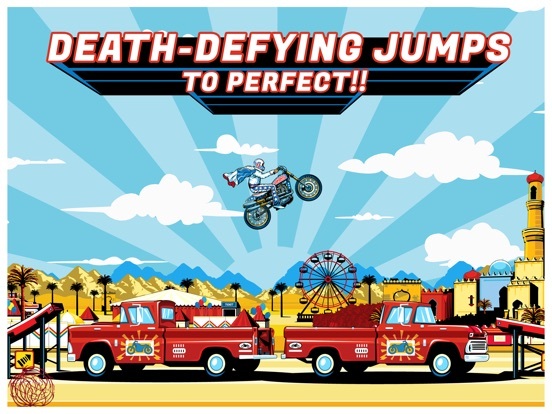 A true American daredevil hero! A legend!! I remember all of his jumps as a kid! Crazy nut that broke all the bones in his body at one time or another, then would get up and do it AGAIN, or something MORE rad! Strange that someone hasn't really had the balls to take all that to the next level after all these years! I mean, a couple have tried, but nothing really significant. His son gave it a shot. 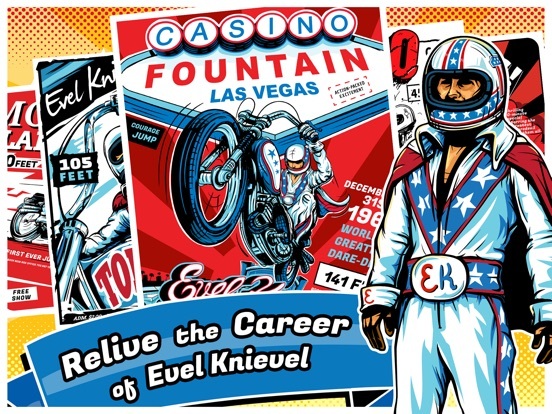 Evel was a true badass and a nice, gracious man. So that's why I'm a tad skeptical when I see his name attached to it. I don't wanna be let down! I hope this is great, but can't help but think from the video that it seems a bit slow. These Trials games and games like Daredevil Dave just seem to be a lot better and a lot more polished. I could be wrong in the end, and I hope I am, cause I want this to be awesome! Gonna keep an eye on it. 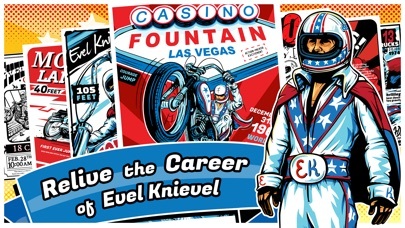 So true that no one is doing this anymore but I guess there was only one Evel Knievel! So many games releasing today! I picked this up this morning and still haven't gotten to fire it up. It's on my to-do list for the night. From today on, with this game and your (oh so damn right) comment above NOEN, i'm officialy stepping into Exact Psience's shoes, only one size bigger. Two paid games a week. Period. Sorry my dearest hard working Devs out there, too many and too fast your games come out every week. I simply can't keep up nomore, and they should be played to the end if possible and not just gathered and stacked on a pile, right? I'm still very occupied with my SuperSharp Quickboy the Landslider, trying to get Fugl's Dust *coughs* wellDown in the Darkland, while holding Helsing's Fire against Zombiematches and Impossible Super Ninjas...phew! Soooo, NOEN, will you push me over this fence here, or over at Apocalypse Baseball? Edit again: the great Timeshock! pinball with the best ios physics (not arguable) is from this Devs...good sign i guess. I just pulled the trigger on this one, idk, can't pass up a decent looking bike game. As bigrand1 mentioned previously though, it looks slow from the video. I'll give it a go and come back with thoughts. We're reading all your comments so let us know how you feel, what you want to see in updates etc! Hope you enjoy the game as much as we have making it. I am not complaining about the speed of the game as I think it works great for the style of jumping taking place in the game. 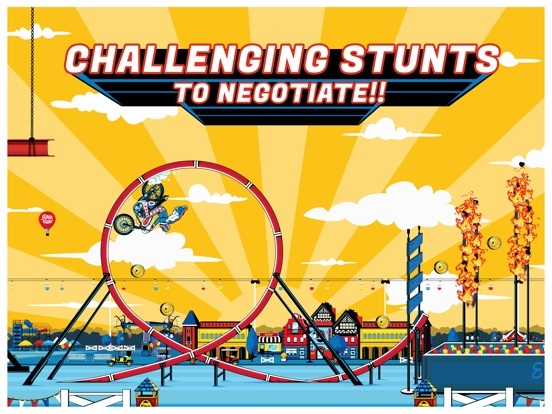 This is not a bike racing game but a big jump game. Anyway totally enjoying and to the dev right now I have no suggestions I love it the way it is but if I find something I will post it here. Also like how you have to work to unlock things. Oh I do have one question how do you change helmets? I unlocked the second one but can't equip it. I love the game as well! Every new bike speeds the game and the challenge up a bit. Yep, it's nice to go back to older missions to beat them finally and cash in some more money, always something to earn. Destructible environment and a burning Evel is always a plus, and i love how fast this game lets you do a replay, incredibly well done! Well worth the money and to scratch the little arcadians biker itch. Yeah, another nod here for this little Gem that literally came out of nowhere. This game has got a great art style and musical vibe the put you in the 1960s to 70s era. 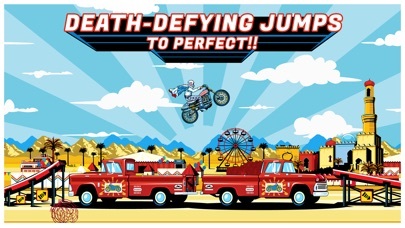 The Evel Knievel quotes right as you're taking the main jumps is such a nice touch. The physics are great without taking themselves to seriously. there are a ton of outfits and bikes to work toward and unlockables attribute upgrades. The missions so far I've been really balanced and add to the overall fun. No doubt on my behalf game of the week! Great game worth the purchase. This is my game of the week. One of my favorite all time motorcycle games. Game of the week!! Decided whether to touch a red button or not holds nothing to this game! Great replay value and I love how for each jump there are a lot of various challenges and as you complete one another one pops up. I had no idea this game was even coming out almost passed on it and now it's easily game of the week in my eyes. Loving this game! I checked my helmets out and it seems like I've somehow unlocked a bunch that I haven't completed the requirements for. I've even got the cool Snake helmet unlocked and it's for reaching lvl 30 and I'm only at lvl 2. Has this happened to anyone else? 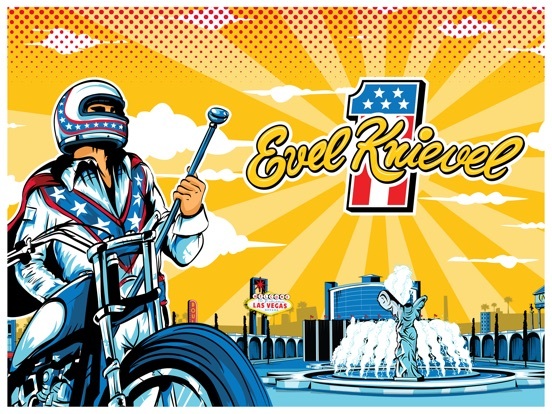 The only thing that could make this game cooler and more "Evel" is if when you crashed it would zoom in and show the bones breaking....too morbid maybe but hey, that was Evel! Awesome game for a LEGEND I grew up with. I completely agree with your assessment. For all the reasons above: awesome game. Bug? : I can't equip my new helmet. I see where to do it but selecting it doesn't stick when I leave that screen.